If there is one thing I know how to make it’s a seriously delicious breakfast taco. Some of you may be laughing and saying, really? There isn’t even chorizo on these tacos, but I say why use chorizo when you can use bacon? 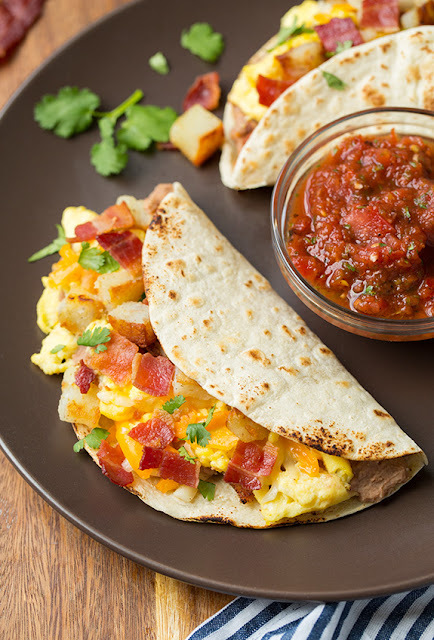 I was first introduced to the best breakfast tacos when I was in Mexico traveling with a humanitarian group and we had these sweetest ladies making us breakfast every morning – and it was all from scratch. I’ve been hooked ever since but I hardly ever have time to make my tortillas from scratch, if only I could figure out how to roll and shape them as fast as those ladies did!